To a packed room of refinery workers, refinery officials, union leaders, environmental activists and East Bay residents, the Bay Area Air Quality Management District (BAAQMD) passed a resolution last Wednesday meant to cut refinery emissions, such as greenhouse gases, by 20 percent. The resolution would affect five refineries in the region, including the Chevron facility in Richmond. Almost equally divided between supporters and opponents, about 40 people showed up at the seventh-floor committee room of the BAAQMD headquarters in downtown San Francisco to comment on the motion. The air district board’s vote was unanimous. The resolution directs the air district staff to develop a strategy to reduce emissions by 20 percent by 2020, which is unprecedented in the history of the Bay Area, and to submit the strategy to the board of directors by the end of the year. The move will also help the state realize its goal of reducing overall greenhouse gas to 1990 levels by the year 2020. “I think the resolution puts us on a path to ensure that our air is healthier to breathe,” said John Gioia, the board member representing Contra Costa County. Environmental groups expressed concern about increased air pollution from refineries in the future. Jeff Ritterman, a member of Richmond People’s Alliance, said he fears the influx of heavier crudes from the Bakken and Alberta oil sands will only increase sulfur dioxide emissions, despite pending modernization plans at the ConocoPhillips refinery, in Rodeo, and the Chevron refinery, in Richmond. Guy Bjerke, spokesman for WSPA, also objected to the resolution, saying the emission cap will affect the current collaborations between the refineries and the district on laying down the rules for tracking refineries’ emissions, reporting the contents of crude oil, and assessing any related health risks. “Just working on these will take a lot of dollars and a lot of time,” Bjerke said. The air quality board discussed ideas that might be included in the recommended strategy, with some members showing strong interest in imitating the emissions reduction model now being used in Southern California. In 1993, the South Coast Air Quality Management District launched its cap and trade program, which sets limits on greenhouse emissions and allows its participating facilities to trade sulfur dioxide and nitrogen oxide quotas. According to data presented by the air district, current emissions in the Bay Area levels fail to match the low standards set by refineries in Southern California. 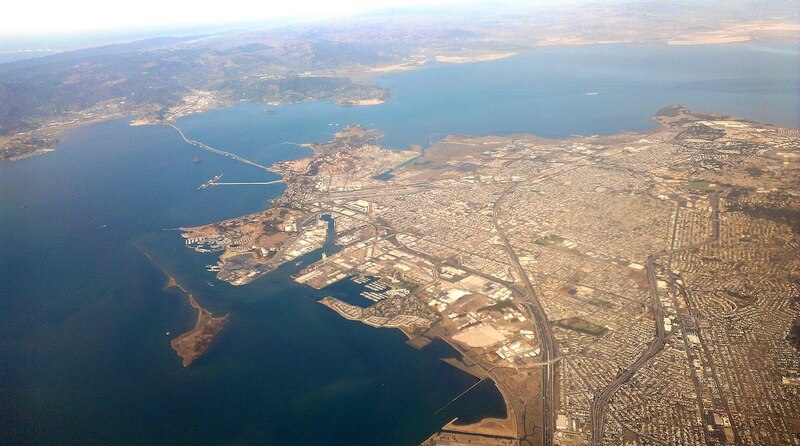 Bay Area refineries produce approximately three times as much sulfur dioxide as their counterparts. “If someone did it, we can copycat,” said Liz Kniss, the board member representing Santa Clara County. The board will make a final decision next spring.